The coat hook is one of those handy-dandy inventions that have barely changed a wink in centuries. Although designers have come up with countless variations on its form, the basic function has remained limited: it’s fine for a single coat but can accommodate little else. 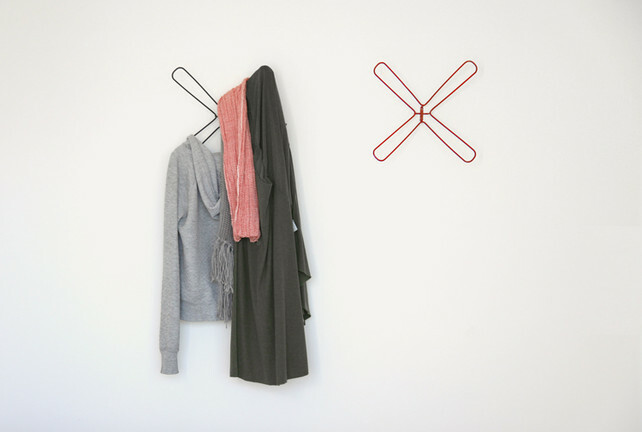 The Israeli designer Kfir Schwalb solves the problem with his ingenious X Hanger, a hybrid between a wall-mounted hook and a traditional clothes hanger. Not only can the crisscross hook hold your coat but your scarf, hat, and sweater–without deforming your favorite cashmere cardigan. 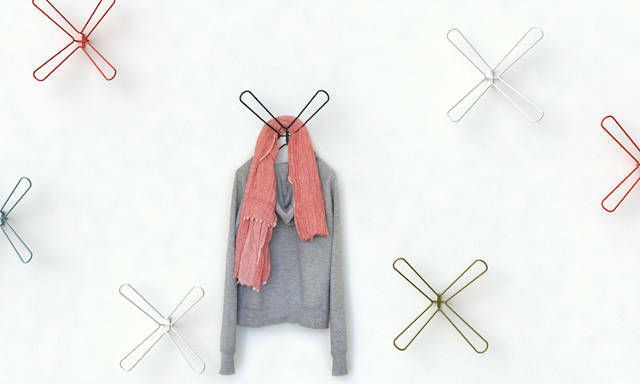 X Hanger, made from powder-coated steel, is still in the production phase but Schwalb plans to offer it in a range of colors. We’ll let you know when it’s available.